Arden Moore hosts a special episode of “Oh Behave” – inside the press conference in Beverly Hills for the upcoming movie, “Marley & Me.” The show’s stars – Jennifer Aniston, Owen Wilson and Eric Dane – plus director David Frankel and head animal trainer Mark Forbes happily share the special challenges – and delights – of working on this movie involving 19 Labrador retrievers of all ages portraying the antics of this so-called ‘world’s worst dog.’ Added bonus: Moore knew Marley during his youthful, always-in-trouble years and shares her unique insights into this famous dog and his owners, John and Jenny Grogan. Don’t miss this show! Announcers: Pet Life Radio. You’re listening to PetLifeRadio.com. There’s nothing like a shaggy dog baby. They’re shagadelic. And this is the place to find out how to achieve harmony in the household with your pets. Yeah, peace, harmony, pet power. Holy Shitzu, baby, you’ll learn how to keep your pets from chewing your shoes or eating your cat. It’s all about relationships, baby. You and your pet pet. So tune in, turn on, and get ready for the positively grooviest pet podcast on the planet. oh, that’s a lot of P’s, baby. Yeah, isn’t it? No really, what’s this show called? “Oh behave! !” With your shagadelic host Arden Moore. What’s happening Arden. Yeah, baby, yeah. Yeah, tell us. Arden Moore: Welcome to the “Oh Behave! !” show on Pet Life Radio. I’m your host Arden Moore. Hey folks, we’re going to Hollywood today. That’s right. Join me. We’re going to talk to Jennifer Aniston, Owen Wilson, Eric Dane, and the entire cast from “Marley & Me” and you’re going to get a special treat. This is by far paws down the most exiting memorable show to date that I’ve ever recorded. The reason be is many. I can’t believe it. I got an invitation to go to the press screening of the movie “Marley & Me” which opens on Christmas day and then to go to the Four Seasons Hotel in Beverly Hills, Darling, LA to be able to talk to the cast members of the show. And the reason this kind of makes me a little giddy like a labrador retriever is because, guess what? Years ago in my previous life when I was not this awesome radio star of “Oh Behave! !” on Pet Life Radio I was a newpaper reporter in the Sun-Sentinel in Fort Lauderdale Florida and that is where I met the author of “Marley & Me. And that is where I actually met Marley, that crazy labrador retriever that John and Jenny had. For nine years I worked next to John. We were both reporters reporting on the craziness of South Florida. It’s never a boring place. For any of you who have lived there, who have visited, you won’t fall asleep in South Florida. So during this career, John and Jenny got a dog and they thought it was going to be a great dog. Well, it turned out to be benevolently coined “The World’s Worst Dog”. In the pages of his book “Marley & Me” John Grogan talks about everything from his puppyhood to his adulthood and how he got booted out of doggy obedience camp. He chewed through drywall. You name it, this dog did this that were above and beyond a well behaved dog. One time when I was there at John and Jenny’s house at a party John wanted to show me how exciting his new garden was growing. And I took the risk of wearing a white blouse that day. – I’m pretty much a classic spiller – but I was so proud of myself that I had kept that blouse white. Until we went to go around the corner to look at the garden and literally I thought there was a team of horses coming toward us. I could hear the thundering. It was Marley full sprint boogey going toward us and he splat, hit me with his front paws, flattened me on the turf, and gave me a bunch of kisses on my face. And my whole white blouse was now a dirty brown. But you know what, you couldn’t get mad at him. He was just full of love. Just a little bit turned up on high volume. You know what I mean? So anyway, he writes this book and, oh my gosh, it goes to number one on the New York Times. He has sold over 3 million copies. There were people from different movie studios literally begging to do the movie “Marley and Me” and Fox Studios is the one that did land the gig. They landed it with such an amazing fervor. They didn’t just get people you don’t know. They landed Jennifer Aniston and Owen Wilson to play the roles of John and Jenny Grogan. And they had to use 19 different dogs, from puppy to adult to senior dogs, to portray the many years and passages of Marley. I saw the movie. It was… I don’t’ know how to explain it. It was so weird to look at a movie that was filmed in South Florida and realize to yourself, oh my gosh, I remember that. I remember the time that John and Jenny took a two week trip to Ireland and my friend Kathy Laskowski was asked to pet sit for Marley. In the movie, as you will see, Marley proved to be quite a challenge for my friend Kathy. There was also a scene where John would be talking with our boss, Earl Maucker, and that is played by Alan Arkin and again, spot on. They were able to capture the gruffness and the talents of our editor and the relationship that he had with John. Everywhere I looked… They filmed it inside the Sun-Sentinel newsroom so I am looking at some of my former colleagues who look a little bit older now when the filming took place because I left there about nine years ago. If you’re really savvy, in the movie there is actually a cameo appearance of John Grogan in the movie. I am not going to give it away. I am just going to see how insightful you guys are. So that’s the setup for today’s show. We are going to take you to the Beverly Hills Four Seasons Hotel where your going to get to sit in on the press conference with Jennifer Aniston, Owen Wilson, and Eric Dane, plus the director David Frankel, and Marley’s head trainer a guy by the name of Mark Forbes. About halfway through this break we’re going to let you know that I actually asked what apparently was deemed the most insightful question of the entire press conference. So we got you curious? Good. Let’s set the stage. We’ll take you live to the Four Seasons Hotel in Beverly Hills. Oh I almost forgot. Hey, I’ve got some great news for you. If you go on to the Pet Life Radio website, petliferadio.com, click on the “Oh Behave! !” show, your going to see an ad for Spot Shot and “Marley & Me”. That’s right. This is something that you can click on and you can get $5 off an admission of the movie “Marley & Me” just by buying a Spot Shot. So hey, that bought your popcorn right there. And you get more. I feel like I am from let’s make a deal or whatever. Listening to the show we are also happy to say we are going to be awarding five signed copied of my book “The Dog Behavior Answer” book that includes a forward written by John Grogan about his marvelous Marley. We are going to give the books away to the first five dog loving individuals to email me at arden@petliferadio.com and they have to put in the email the secret words “Marley rocks”. If you send me and email with your name, address, and also the name of your dog or dogs I will personally autograph those copies and we will dash them off to you just in time for the holidays and for you capturing the movie “Marley & Me”. So there’s my big commercial pitch and you know what this is going to be a fun time. So are you curious? Here is what we are going to do. We are going to take you to that press conference right after this commercial break. So sit and stay, and let the Marley magic begin. Announcer: Would you like to go out? Well actually I was talking to your owner. I meant on a date, baby. Yeah, you and me. “Oh behave! !” will be right back after these groovy shagadelic messages. Oh yeah. Announcer: Let’s talk pets on PetLifeRadio.com. Arden Moore: Welcome back to the “Oh Behave! !” show on Pet Life Radio. We’re here to help you learn everything about Marley and how to Marley proof your own dog, for that matter. So as promised, you now get your own press credential ticket to sit in on the press conference featuring the stars of “Marley & Me”. That is Jennifer Aniston, Owen Wilson, and Eric Dane, plus the producer Dave Frankel and the head dog trainer Mark Forbes. Reporter: Ok, guys, we are going to start now. I want to remind you we do have mics so please wait until the mic is in your hand to ask a question and just one moment please. I want to introduce our guests. We have Eric Dane on the far left, Owen Wilson, Jennifer Aniston, our director David Frankel, head animal trainer Mark Forbes, and our very very very special guest Clyde who is one of our best Marleys. I just want to throw out the first question to Mark. Marley is obviously a very special dog and presented very special challenges to the Grogans. Tell me about the training of Clyde and his friends, the other Marleys, and what special challenges they presented. Mark Forbes: We didn’t train them. We did what I like to call anti training. We just encouraged every bad behavior you can think of and told them it was good. Reporter: I think you worked with my dog. Mark Forbes: Let him go on the set. Reporter: Dave any specific directions you gave Clyde or were you pretty much pleased with what was happening? Dave Frankel: No, I was very pleased. I didn’t do it. The most important thing was to not rehearse him because he is a natural and he was always best on the first take. So we would prepare and then try and grab the magic on take one. Reporter: Could you talk about the challenges of working with the dog and all the different ages of dog and, Jenny, were you used to that and did having dogs of your own help you in the process? Jennifer Aniston: Well I mean I think it helped only because I wasn’t afraid of dogs, but honestly he was so easy to work with. I would say the younger Marley’s were… because to hit their mark or to hit… were a little bit more challenging for the trainers. We had a ball. We never had a hard time. Reporter: Was there a tricky scene at all, anything that was difficult or took a lot of time to get? Jennifer Aniston: The scene where we were taking him to get neutered, that was definitely challenging within the car because you also have Matilda in the back seat, the trainer that was fantastic, and it was just a lot of action for the dog. Jennifer Aniston: It was harder. David Frankel: Trying to get him to imitate like he was going to the bathroom, that one took a long time. Mark Forbes: He had a little stool that he had to sit on that they were going to, I guess, green screen it. Jennifer Aniston: Don’t give it away. Reporter: David? Can I ask you? one of the things I really loved about this movie was that it was almost like a romantic comedy after marriage and you so rarely see that. Actually, I would love for you all to comment on how wonderful it is for married people because marriages in the suburbs in particular are portrayed as miserable and this was not the case. Jennifer Aniston: No. Actually, you’re the one who should talk. David Frankel: Well I think that was one of the things that we all embraced was to make a movie that was a portrait of a happy marriage. Yes, there are ups and downs and there are difficult times, but mostly it’s about appreciating the choices you’ve made and appreciating the joy as a family. I think the challenge for us was finding the drama in what is essentially a portrait of happy people. Owen Wilson: It is true. It seems like every time when you do see a marriage it is always just like struggle and in our scene your kind of even saying that. I’m trying to say like, “No everything is OK.” and your like, “Really?” like you don’t really believe it. Jennifer Aniston: So when are you going to leave? Eric Dane: My character is perpetually single. Owen Wilson: Yeah. The irony is that you’re the only one of the stars who’s actually married. David Frankel: Boy you’re a novelty. Eric Dane: That’s why they call it acting. Reporter: How did you physically get ready for the movie? Is that what you mean in terms of…? Jennifer Aniston: That’s basically it. Owen Wilson: But you did do a lot of training. Owen Wilson: That one scene where we had to do the running you were kind of bandaged up. You kind of held back to the start more. Jennifer Aniston: That’s very true, yeah. Owen Wilson: Then every time you’d say action and it was off like you sang bolt. Reporter: Jennifer, you mentioned in the production notes that your character lets go of her youth. I wanted to ask how you went through that process yourself in thinking about, maybe, bringing that to your character. Also, what did you name the dog that you adopted after the filming. Jennifer Aniston: Oh, I didn’t. Jennifer Aniston: I didn’t adopt a dog. I have a dog. Eric Dane: Owen adopted a dog. Jennifer Aniston: I have an adopted dog, both of my dogs are. But that was years ago. I almost adopted the dog that’s in the poster. Owen Wilson: Who is that? Is that Tank? Jennifer Aniston: What was the name of that dog? Owen Wilson: …doing a Vietnam movie where you didn’t want to get to close. You didn’t want to bond. You knew that that dog might not be there the next day. Jennifer Aniston: Yeah, they did. They grew up. They would literally. It’s so true. Owen Wilson: And then some of the people that did adopt some of those puppies called you guys saying they were having behavior problems. Eric Dane: Do you have one of the Marley’s? Owen Wilson: No, I didn’t adopt a Marley. It was a fluke. I was walking down Larchmont and there was this little Chihuahua thing with a broken leg and the girl told me that someone had thrown the dog out of a moving car so I took it. Jennifer Aniston: I hate that. Owen Wilson: Then I took it on vacation. Eric Dane: Is it OK now? Owen Wilson: The dog is fine now. The dog’s great. The dog’s name is Nellie. Owen Wilson: Wife and mother. Reporter: …do this? And a lot of times when we talk to actors they will say, “I never could have played this role unless I’d been a mother. It helped me so much to play this.” Do you think you should have waited till after you had your own kids? Jennifer Aniston: No, I wanted to be in the movie. Owen Wilson: How many times have you played…? Huh? I’m sorry sequel. Sorry. My bad. Owen Wilson: That’s all right. Jennifer Aniston: Thank you Owen. But, you know, where you just basically get to sort of see the ins and outs of a relationship and see them over 15 years and have this sort of human thread that takes you through. And have it be funny just because Liza’s funny and dramatic. I responded to the material. Reporter: In your grave tarred scene? Reporter: When you put your necklace into the grave. Reporter: I mean, people were crying when you got to the end of that scene in the thing. Can you talk about doing those scenes? Jennifer Aniston: Those were really hard. That was the last two week, for me, of shooting. So it was kind of fortunate that that came at the end. You don’t always get to shoot in order at all. Those were the days where I couldn’t read the lines in the morning in the trailer because you were just bubbling over with emotion. I was just sort of hoping that I would be able to look at the lines while I was on set and remember them or learn them. Jennifer Aniston: That’s what made me cry. Jennifer Aniston: The oldes one. Owen Wilson: …the old man Marley – and as soon as you see this dog it was hard not to just start getting kind of emotional. So I don’t know. That was what was kind of nice about the movie was that the situations didn’t feel, ever, contrived where it was like, “ I don’t really…” Everything seemed very relatable. So it wasn’t difficult to kind of understand, like, Ok this makes sense what he’s feeling here. Reporter: Do you folks have a favorite dog movie? And I ask that of each of you. Owen Wilson: I like “Sounder”, “Where the Red Prong Grows”. Eric Dane: “Babe”. It was a pig movie, but there was a great dog in it. Reporter: What’s more high maintenance a dog or a woman? And just as a quickie follow-up, are puppies really a chick magnet? Eric Dane: How are you doing with that chihuahua? David Frankel: That chihuahua story you just like… I was making a mental note of that story. Owen Wilson: My wife thought I was the sweetest guy in the world for taking that dog until I told her to take care of the dog. No. Well kids are chick magnets, right? Isn’t that kind of the… Isn’t that what I used your son for in this movie? Owen Wilson: It works better than Marley. Nobody wants to get near that. Reporter: Owen, I wanted to ask you, the maintenance question. A dog or a woman, what’s more high maintenance? Jennifer Aniston: Or a man? Owen Wilson: Yeah. I think that… Which is more high maintenance? Eric Dane: I have five dogs so the dog is definitely more the high maintenance thing. Humans I think can be more demanding though. Owen Wilson: I like how you phrase humans. You just went humans. Arden Moore: So are you having fun feeling part of this press conference with Jennifer Aniston and Owen Wilson? I hope so. We’re going to take a quick break and when we come back finally — I have been holding this microphone in my hand forever at the press conference – they finally point to me and let me ask a question. 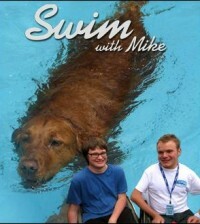 So when we come right back your going to get to hear what I had to ask and say to the stars of “Marley & Me”. Arden Moore: Welcome back to the “Oh Behave! !” show on Pet Life Radio. I’m your host Arden Moore. Alright here comes my big moment. I have the microphone in hand and here’s the question that I deliver at the “Marley & Me” press conference to the stars Jennifer Aniston and Owen Wilson. I wanted to ask you of you. I knew John and Jenny really well. I worked at the Sun-Sentinel and he actually wrote the forward to my book. I wanted to applaud you all for capturing the Sun-Sentinel, South Florida, and that relationship between John and Jenny. I wanted to ask you how much time do you get to spend with the Grogans? And was there something that just popped in your head when you said, “That’s who they are?” I really did think that you did it spot on. Jennifer Aniston: Well that’s the greatest thing we could ever say. Thank you. Arden Moore: I wanted to ask you about their relationship and how when gettting into their roles… I mean, you had them down pat. Jennifer Aniston: Just so odd. Owen Wilson: And they’re in the movie. They’re in the dog obedience class there. Arden Moore: I saw John. Yeah, I saw John there. Owen Wilson and Jennifer Aniston: …me playing him. Owen Wilson: …and just kind of made sense. Eric Dane: Earl Maucker was there at the Sun-Sentinel. Owen Wilson: Yeah. He was great. Reporter: Jennifer, you seem to flit effortlessly, without any difficulty, from genre to genre independent to mainstream. Do you find it challenging to find the kinds of projects and roles that really get you going credibly? And this is obviously very different from your next movie that’s coming out. “He’s not very into you” I think is the next one. Jennifer Aniston: Yeah. Yeah, sure it’s hard if you’re very specific, if your picky. But I’ve been really luck to have things come to me that creatively fulfill me and those are usually more the independent films just because they have a little bit more freedom. Reporter: Can you talk about – and the rest of you can answer this too – What do you think the massiveness behind the story is? What’s the key appeal part? Jennifer Aniston: It’s a hard one to put your finger on. Owen Wilson: It’s not just America. I remember talking to John Grogan and in Argentina they love the book. I guess there’s just something in the story that has a universal appeal or that people are able to connect with. I think even if you don’t have a dog you can… Or you’ve been in a relationship and it doesn’t even have to be a married relationship just partnered life. Owen Wilson: Yeah, the connection. Jennifer Aniston: The simplicity of it. Less is more. David Frankel: I think there is a universal yearning for unconditional love. I think that is what the book is about and, hopefully, that is what the movie is a little bit about. Owen Wilson: Alex and me. At first it was in the New York Times. Then they ended up doing three articles about it. Now there’s a book coming out. And I think that’s this wanting to kind of connect. Reporter: Do you think dogs change people’s lives? Reporter: One of the greatest things about dogs is their unconditional love but also the fact that they live in the present. Have you guys learned to do that? Working on it? Jennifer Aniston: Work in progress. Owen Wilson: I think that is the great thing about working with – yeah– Having a dog is it kind of forces you to be in the present because that is definitely where they’re spending their time. Reporter: There’s the old adage to that where you don’t want to work with dogs, animals, and you don’t want to work with kids. In this one you’ve got dogs and kids, and you’ve got dogs out of control. So, David, I have to ask you. How was it on the set and how did you manage everything? Jennifer Aniston: You meant it. David Frankel: …and Owen and Jen had remarkable patience. I think that the W. C. Fields line about a kid is true and I would avoid them in the future. Jennifer Aniston: You get tired. David Frankel: I have two little kids myself so I thought I was prepared, but the toddlers and the infants are just a challenge to work with. They don’t… Even an untrained dog responds better to his cues and you can manipulate them a little bit with a treat which babies just don’t seem to respond the same way. Owen Wilson: When babies are done with the scene they’re done. Reporter: David, could I ask you this because I am relenting? I wondered if there was any discussion through the movie while you were shooting it of maybe you doing a scroll or something because that is… I had to leave. To be honest I had to leave. So I wondered if there was any thought about not going into the hopsital just doing it beat by beat by beat like your doing. David Frankel: I think it was because we were even talking last night about being true to the book and the way that people really love that book so much it really wasn’t a choice. I was kind of you have to tell the story to honor that story. Owen Wilson: It wasn’t anything that we ever considered and to me, seeing Marley through to the end, that is what we all have to do in our lives. It’s why we recognize ourselves so much. I think, for me, I don’t just see the end of the life of a dog. I imagine the ends of the lives of everyone I love and that was part of what we all felt in making the movie. I think that it’s not a reason to scourge from the whole circle of life in telling a story. Eric Dane: And I think that there can be something beautiful about being together as a family for the whole cycle of a life, but not shying away from that. Jennifer Aniston: I think it is, yeah. David Frankel: …that’s ultimately why I think the movie is a celebration, as sad as it is for Marley. Reporter: Did doing this movie change at all your feelings about what journalists do and what is going on in the profession? Is there enough room for the John Grogans out there? Eric Dane: Which would be kind of the dynamic between your character and my character, if you were out doing that kind of thing. It kind of felt like you wanted it more. Owen Wilson: Like Bernstein himself. Eric Dane: …getting kidnapped and EK47’s. Eric Dane: That was like sleeping in an action movie. Owen Wilson: Like you always want to be a detective until you’ve got to type out the report. Reporter: Over here. Could you talk a little bit about… the reason this film works so well is the chemistry between you to. Was there a moment in the filming when you realized that’s there because you come across like a very married couple. Owen Wilson: I think it was because we didn’t really know each other before the movie began. We had just kind of met in passing. But, I think it was just kind of more like in rehearsal just kind of early on feeling like we’re on the same page with the way that we kind of felt the way things should go. Then the thing about chemistry… I never really…It sort of, you know. You get along with a person, but then it sort of …If the movie does well then you had a great chemistry. I don’t know. Reporter: Well every garden party needs a skunk. Reporter: All the real life issues you have been talking about not withstanding. I think it’s done really well as a movie. I have an issue in the way it’s being marketed because I think parents will look at that and think, “Oh, cute dog movie. I can take my kid to it.” “What’s a miscarriage, Mommy?” I mean, I’ve been there. I’ve held the beloved family dog as she was put to sleep. I just went through a miscarriage with my daughter. Seeing that sort of thing being played out in a film with kids I think is going to be difficult. So in our reporting on it, what are we supposed to say? Should we say that the dog dies? Should we say that there are real life issues? Or is it just not a family film the way it’s being marketed? David Frankel: I would think it’s OK to say there are real life issues. David Frankel: …give away what happens. But again, it is sort of we’re kind of telling the story that the book told and you hope that people appreciate that and that story. But I guess that’s something for parents to decide. I think it’s generally a movie for the whole family. So from the beginning for me it is a movie about people for people of all ages. And so I think there’s real merit in marketing it in a way that families will go because I think it’s exactly the kind of movie… My kids are going to go see it next week and they’re seven. They’re excited and I welcome they’re questions. I think the joy of family is discussing the aspects of life. They clue you into that. Eric Dane: Growing up as a kid we didn’t know that they were going to take Old Yeller out back and shoot him. Owen Wilson: It is also I think right that sometimes maybe as an adult you kind of underestimate or forget kids abilities to deal with stuff or how much they do sort of soak up. David Frankel: We all remember the one where the family’s mother gets shot in the first scene. It’s OK for Marley to die in the last scene. Reporter: This leads perfectly to my question which was when I left the theater I couldn’t help but think of Old Yeller which was the first movie that made me cry. What are your thoughts on Old Yeller and this kind of being an Old Yeller for the new generation? Owen Wilson: It is like this is sort of when you think of dog movies, that genre, like Old Yeller is sort of the bench mark and, yeah, you hope that you can kind of raise your game up to that. So it’s good that you thought about that. Reporter: Jennifer, I thought you did a great job in this movie. Someone asked you earlier about hopping from genre to genre to genre and you said that you’ve been really lucky. But you’ve also been very successful in going from genre to genre to genre. You do it really well. Reporter: But you labeled it as lucky. Is success and luck the same? Or how did you get so successful? Is it just your luck? In other words, how do you look at it? Jennifer Aniston: I don’t know. I mean, I I’ve never sat there and plotted out how I was going to become successful or famous. I just really wanted to work and I wanted to do good work. Every since I was in my high school performing arts and my Russian acting coach told me that I was a disgrace to the Moscow theater, I was determined to prove him wrong and just do good work. I think I have never had my eye on a prize. I just really wanted to enjoy the passage of time. I mean, before friends and the success of that I have a graveyard of sitcoms that’s just… I mean, thank God you all don’t know about them. But I was happy to get a job every year, you know, whether it went on or not. Jennifer Aniston: Oh my God. Jennifer Aniston: Someone pull out his resume please. Reporter: You were one of the few TV stars to bring these people to the movies with this kind of success. Reporter: We’ve got to break. I’m sorry. We’re already late. Reporter: Would you want to just comment on this post TV Friends thing that you’ve done so well. Jennifer Aniston: You know, I got the opportunity to do to films while I was on friends and I think I kind of built that up a little bit and somehow was welcomed into the other side. I crossed over. Reporter: Do you think there will be a friends movie? Owen Wilson: Thank you everybody. Jennifer Aniston: I hope not. Arden Moore: Well there you have it. You have just been treated to a first class pass to the press conference screening of the movie “Marley & Me”. And now we all know that Jennifer Aniston has no desire whatsoever to ever do “Friends The Movie”. Little did I know that the Marley and me press conference was not the only big game in town at The Four Seasons that day. It turns out that this was the day that they were having a lot of stars for a lot of movies that are going to becoming out in December and January and they all converged at The Four Seasons. That probably explains why the paparazzi literally was hiding in bushes at the entrance to the hotel. But I have to share with you my little Hollywood moments. I was on the elevator going up to my press conference when who popped into the elevator but Jon Hamm who plays Don Drapper on the show “Madmen”. It won an Emmy. It’s a great show. I watch it every week. And I was standing in line at a bathroom –Yes, everybody has got to the bathroom now and then. – and this tall looming man comes in and he stands behind me and it’s Keanu Reeves. He is starring with Jon Hamm in the movie “The Day The Earth Stood Still”. So being the gentle lady that I was and knowing that he was dashing off to a press conference I let him take cuts in line, for which he will always be, I/m sure, grateful to me. So those are my little close encounters with the Hollywood scene and I’ve got to tell you it was pretty fun. I have been a serious journalist almost all of my life, but I did admit to getting a little bit giddy to hang out with John in an elevator and Keanu Reeves in the bathroom line. I hope you go to “Marley & Me”. It kicks off in theaters everywhere starting on Christmas Day. And as mentioned, you can save $5 off the admission if you go to the PetLifeRadio.com website, click on the “Oh Behave! !” icon, scroll down. You will see a way that you can save $5 off the admission of “Marley & Me” the movie by purchasing the Spot Shot, a very very effective cleaner for doggie misdeeds. It’s easy. 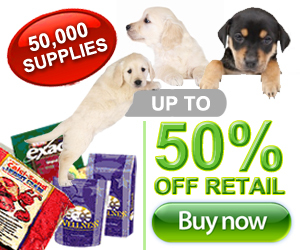 Just click on the Spot Shot and “Marley & Me” banner and you will be able to qualify for that $5 off the movie. So I urge you all to do that. 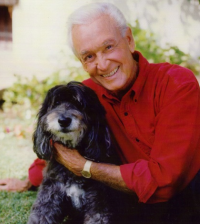 Secondly, as mentioned earlier, we are going to be giving away five signed copies of my book “The Dog Behavior Answer Book” that has a forward written by John Grogan about Marley. It’s easy to do. The first five people just need to send an email to arden@petliferadio.com, include the magic words “Marley rocks”, provide your name and address and the name of your do or dogs, and we will dash out signed copies of “The Dog Behavior Answer Book”. I’ve got to tell you the pages of this book are designed to help Marley proof that dog in you. So I hope you do consider getting the book and I hope you go see the movie. I can’t believe I just did my first Hollywood adventure. So at this time I want to take the opportunity to thank my very cool producer Mark Winter. He is definitely making this show and all shows on Pet Life Radio happen. He’s a talent that I’m very happy to team up with. Go see the movie and tune in each week to Pet Life Radio and the “Oh Behave!” show. So for now this is your flea free host Arden Moore delivering just two words to all you two, three, and four leggers out there. Oh behave! !